Mary Cosby, RN at East End Hospice spoke at our meeting today. She spoke about what they do, their new facility and share a few stories. 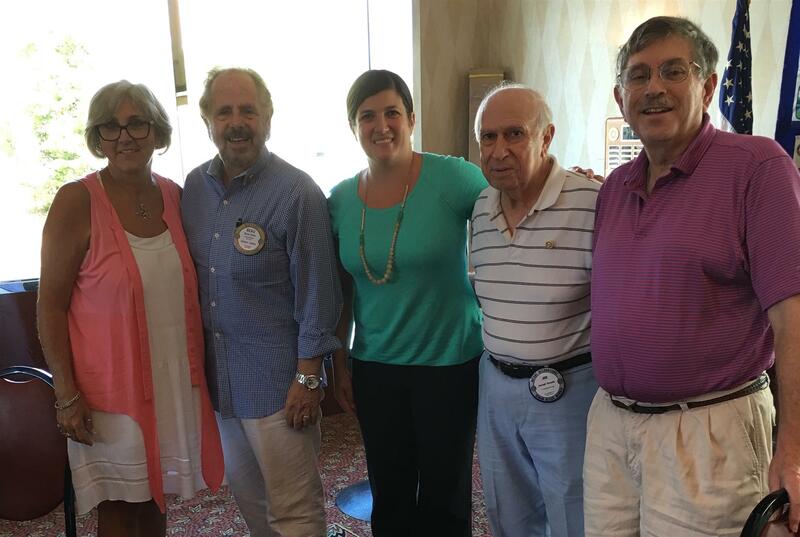 In support of the cause The Southampton Rotary Club presented Mary with a $500 donation. East End Hospice brings hope to the dying and their families and friends. By affirming life, hospice helps people conclude life with comfort and dignity, offering pain alleviation and symptom control in a familiar and caring environment. Certified in 1991, East End Hospice, a 501(c)(3) not- for-profit corporation, has provided services to over 7,500 terminally ill patients and their families – primarily in patients’ homes under the direction of professionals—and with invaluable assistance from dedicated volunteers. Ground was broken in July, 2014 with their new facility which allows patients to live out their final days in a home-like setting close to home, here on the East End, with friends and relatives nearby. No one is ever denied care by East End Hospice because of inability to pay. Way to give to East End Hospice. Keep in touch, or reach out to us from via our social media website! All materials and photos, unless otherwise specified, copyright of Rotary Club of Southampton.